When you approach someone who is using a part of the road to ride a bicycle, remember that they also have a right to the road. Keep in mind some basic tips that will help keep you in check and keep everyone involved safe. Slow down as you approach a bicyclist, as you are unlikely to be accustomed to sharing as much of the road as necessary when encountering such an individual. You should treat them as pedestrians in that you should yield to them as they are clearly going to be moving at much slower speeds than what your vehicle is capable of achieving. Leave at least four feet between yourself and the person on the bicycle. This is considered a safe amount of distance to allow them to do what they need to do while giving you space to do the same. 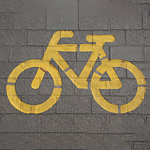 These tips should keep both yourself and the bicyclist safe.